Every inch of a tree has a value and a use – the branches and smaller logs are perfect of Charcoal making, leaving larger straight trunks for the mill, the rest for home fire or brash. 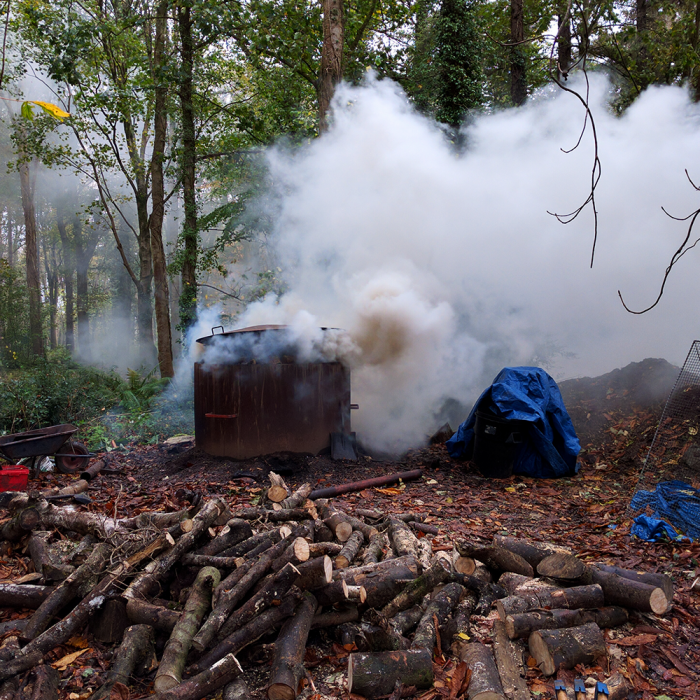 The Charcoal Kiln makes a perfect fuel for BBQs, forge work/blacksmithing and finings for garden compost. Each timber species has a different characteristic – oak, beech, ash and sycamore. We supply it bagged to various local campsites, garages, restaurants and shops.